Want to start Tornado Potato business? You have come to the right place. The video introduces the manual cutter model MJ01 from www.potatotwisto.in. The machine is simple to use, easy to clean, compact, made of high grade commercial material which is for lifetime with a fixed blade for even slices between your Twistato which is easy to fry and gives a great taste. The machine along with our Skewers, Batter and Seasonings is the right combination for the best Twistato experience. The video is divided into 3 parts. Please select clean fresh potato with good shape and insert into the pointed side of the Bamboo Skewer. The stick has to go through right in the center for a even shape. Please insert until the pointed time of the stick comes out. The machine is simple to use, easy to clean, compact, made of high grade commercial material which is for lifetime with a high grade blade for even slices between your Twistato which is easy to fry and gives a great taste. The machine also has attachments to make Curly Fries and Tornado Hot Dog. The machine along with our Skewers, Batter and Seasonings is the right combination for the best Twistato experience. Please select clean fresh potato with good shape and insert into the pointed side of the pin attached to rotary handle. The potato has to go through right in the centre for a even shape. Please insert until the potato is fastened to the holder in the rotary handle. How to make Twisted Potato aka Spring Potato, Spiral Potato? This video shows how to Mix Magic Dough from Potatotwisto.in for spring potato, Cheese Cream as Topping, Frying and Sprinkling for the best Spiral Potato experience. D) Sprinkling seasonings and applying cheese topping. 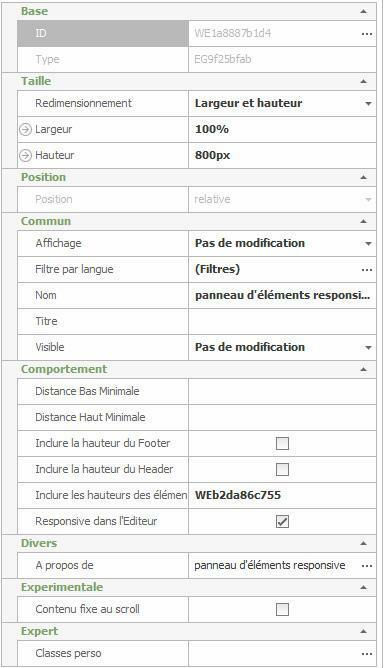 À l'intérieur donc de l'élément Panneau d'éléments responsive, vous avons mis un panneau d'éléments qui contient lui aussi un bloc de code visuel. Le nombre de <li></li> indique aussi combien de panneau d'éléments sont à gérer par BxSlider. Par défaut donc, il est régler sur 3 (nous avons donc 3 panneaux d'éléments qui bénéficient de l'effet BxSlider). Vous êtes libre soit d'en rajouter soit en supprimer. La suite de la FAQ est consultable sur le forum. Pour une aide plus spécifique, pensez à prendre le forfait aide directe à 10€.